Project Next 2018 Initiative is a collaborative project initiative of Hub for Innovation, Research, and Development at Technology Services and Faculty Research partners in discovering and adopting new emerging innovations for technological advancements in education with Artificial Intelligence and Cloud technology. Ultimately, in support of Fresno State High Impact Practices toward Student Success. The initiative is under the executive leadership of Orlando Leon (CIO) and led by Max Tsai (Innovation Architect). 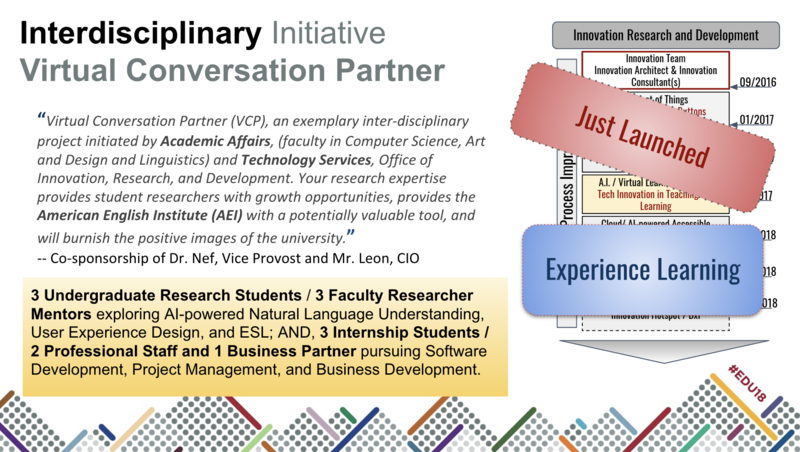 Student Intern Developer(s): Adrian H.
Please contact Max Tsai, Innovation Architect, if you need additional information. 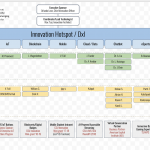 Hub for Innovation, Research, and Development at Technology Services is a Technology Innovation effort established in September 2016 under the leadership of Chief Information Office, Orlando Leon.